All members of the team are working together to provide you with the kind of treatment that we would expect for ourselves. When hospital treatment or investigation is required you will be referred to a specialist or hospital of your choice, whenever this is possible. You can expect to be seen by a doctor within 48 hours, a primary care professional within 24 hours or on the same day if your condition warrants it. We will maintain confidentiality within the Practice Team. Identifiable patient information will only be shared within the Practice, and in the case of referral, with the clinician to whom the patient is referred. Disclosure of identifiable patient information to any other outside agencies will only be done with the written consent of the patient. We will try to keep our appointments running to time and will notify you if there are to be any unavoidable delays. Repeat prescriptions will be ready for collection within two working days. We expect that all members of the team be treated with the same courtesy with which you would like to be treated yourself, regardless of race, gender or disability. We expect you to arrive in time for your appointments. Appointments that you no longer need should be cancelled as soon as is possible. You must observe the ‘one patient, one appointment’ rule. 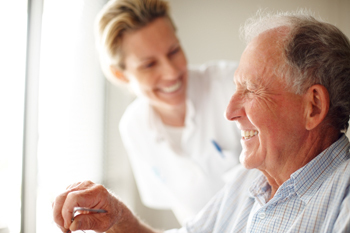 We expect you not to ask for a home visit unless the patient is too ill to come to the surgery. Remember that verbal or physical abuse of any member of the team, or persons present on the practice premises, will not be tolerated and may result in removal from the practice list, as will repeatedly not keeping appointments. We hope you will never have reason to complain. If you should wish to do so, please make your complaint as soon as possible either in writing, or alternatively ask to speak to the Office Manager or Practice Manager in person. Your complaint will be acknowledged within three working days, you can approach the Primary Care Trust if you cannot raise your complaint with us or you are dissatisfied with the result of our investigation or you can be referred to The Parliamentary and Health Service Ombudsman. Our aim will be to investigate the cause of your complaint, to make it possible for you to discuss the problem with those concerned, to make sure you receive an apology if this is appropriate, and to identify what we can do to make sure that the problem does not happen again. Please ask our receptionists if you would like a copy of our complaints procedures. We welcome any comments you may have about our practice, please address them to the Practice Manager, or alternatively use the suggestion box in the waiting room.